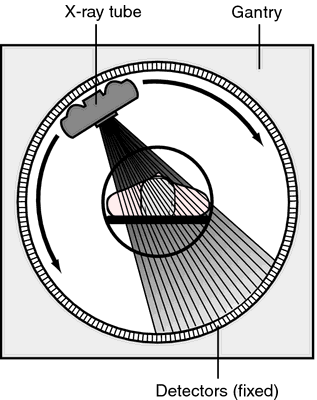 Making a radiographic image of a selected plane by means of reciprocal linear or curved motion of the x-ray tube and film cassette; images of all other planes are blurred ("out of focus") by being relatively displaced on the film. the science of rock strata often interpreted as the study of historical geology; it is concerned with the original succession, age relations (often through fossils), and the form, distribution and composition of the rocks. a method of bodysection radiography. In Devonian Neritic-Pelagic Correlation and Events (IUGS Subcommision on Devonian Stratigraphy, ed. Sarvestan stratigraphy section is located in Fars province, southeast of Shiraz city (figure1); geologically it is located in zone of Zagros folded structure and in Fars area. Vail's seismic stratigraphy has alsobeen a godsend for oil companies. The facies model in this stratigraphy is largely based on the one presented by Erlstrom et al. 1999, Structure, stratigraphy, and primary setting of the Kidd Creek volcanogenic massive sulphide deposits: a semiquantitative reconstruction, in Hannington, M.
Kaljo has published about 270 scientific papers in the fields of palaeontology, biostratigraphy, and palaeobiogeography of the Ordovician and Silurian rugose corals and graptolites; stratigraphy, palaeogeography, and evolution of the Baltic Silurian basin; general problems of stratigraphy and specific methods (ecostratigraphy, event stratigraphy, isotope stratigraphy) on the example of the Baltic Silurian; evolution of communities, ecosystems, and faunas in the Silurian seas and application of isotope analysis in Ordovician and Silurian stratigraphy, climatology, and oceanology. She then went to the Catskill Basin in New York and found traces in Devonian shale (deposited 345 to 395 million years ago) that were similar to what she had created in the laboratory--indicating that a community of Capitella-like organisms might once have lived there, even though conventional stratigraphy would indicate that there had been no life. is organized alphabetically by Latin binomial designation and contains 300 different species, each with a two-page entry consisting of a color image, classification data, morphological description, synonyms, information on geography, bathymetry, and stratigraphy, followed by references. Baltic sensu stricto or East Baltic cooperation in geology, particularly in the field of regional stratigraphy, has been many-sided and active during the last four decades since the foundation of the Baltic Regional Stratigraphical Commission (BRSC) in 1969. The terrane puzzle; new perspectives on paleontology and stratigraphy from the North American cordillera. Wilson (Open University), is based in part on a third-year level course in sequence stratigraphy developed at the Open University.